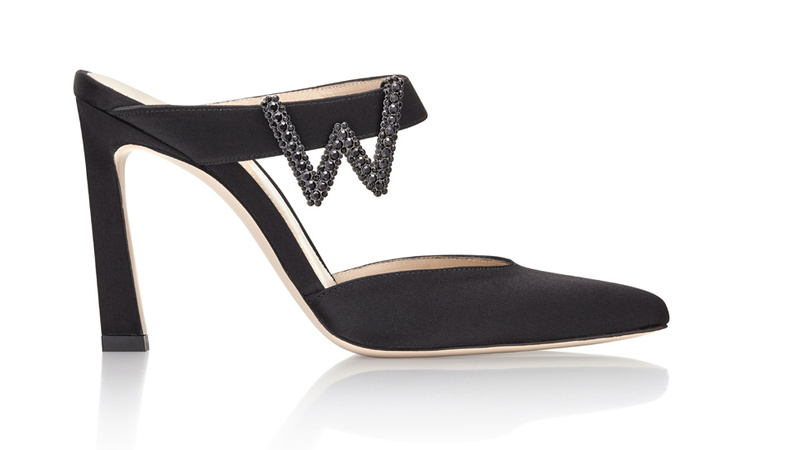 ’Tis the season of holiday boutique events and other fabulous fêtes and what better way to make a statement that with Stuart Weitzman’s new Swarovski crystal-encrusted single-letter shoe clips? Whether you show off your initials or make a statement with whimsical letters, the dazzling embellishments spell it out in glamorous detail. These exclusive holiday accents will be available online and in select Stuart Weitzman retail locations throughout November. Each letter clip will retail for $125 and is available with the purchase of three new special occasion styles. For more details, visit stuartweitzman.com. Save the date for Trinity Services’ 4th Annual “Evening of Holiday Music” dinner and concert gala on Friday, Dec. 1, at Butterfield Country Club in Oak Brook. This festive evening will feature the talents of the Allegro!!! 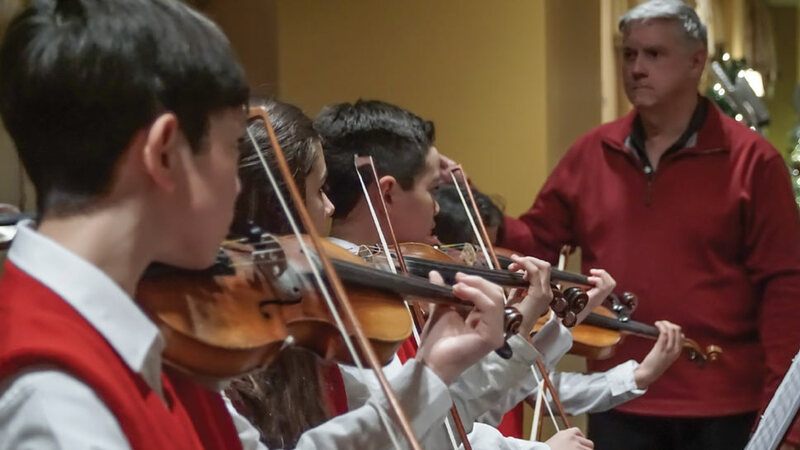 Violin Ensemble from the Western Springs School of Talent Education and the celestial sounds of harpist Catherine Ramsey, student (and symphonic orchestra member) at Downers Grove North High School and a member of the Naperville Youth Symphony Orchestra. Tickets are $140 each. For reservations and information, call 815-717-3750, or visit trinity-services.org/concertgala. Our holiday theme continues with a BBs Baby Donuts popular Christmas-time tradition. 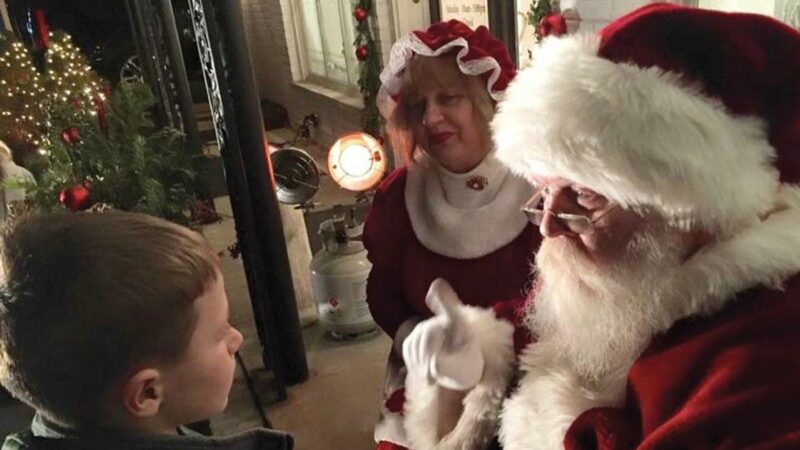 Santa (and Mrs. Claus, provided elves are on schedule) is due to arrive at 5:30 p.m. on the first Friday in December (which happens to be December 1) for “Walk-Up Wonderland,” a time where kids can see Santa and a walk-up window is open for donuts, coffee, and hot chocolate through 7:30 p.m. This elaborately decorated outdoor event is a favorite that many look forward to as a chance to get into the holiday spirit. Follow the BBs Baby Donuts page on Facebook for other holiday pop-ups throughout the season. BBs Baby Donuts is located at 4472 Lawn Avenue in Western Springs, 708-246-1212, bbsbabydonuts.com.